Why would a physician prescribe an antidepressant to treat migraines? That type of prescribing is known as off label use. Off label means prescribing a drug for uses that have not been approved by the Food and Drug Administration (FDA). The practice is legal and fairly common, but why do physicians do it and what benefits and risks does off label use carry? Studies have found that between 12 and 20 percent of prescriptions are for a use other than the one approved by the FDA. But just because a use isn’t FDA approved does not mean that the drug may not be an appropriate treatment for some patients. Often, after FDA approval, researchers perform studies and gather clinical evidence that the drug treats other conditions effectively. In some cases, these medications become the standard of care for the condition. But because FDA trials are lengthy and costly, drug manufacturers usually don’t go through the trial process again to get the drug approved for the newly discovered uses. 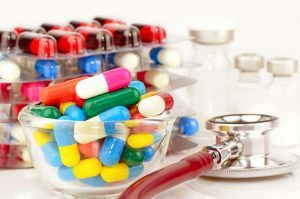 A recent study published in the journal JAMA Internal Medicine examined the off label use of a range of prescription medications to learn how often these prescriptions caused preventable adverse drug reactions and found that when there was little or no clinical evidence that the drug is effective for the condition that it is prescribed for, in some cases, there is an increased risk of the patient experiencing an adverse drug reaction. The study reviewed data from Montreal and Quebec City, Canada for 151,305 prescriptions for 46,021 patients over a five-year period. The researchers chose to use the Canadian data because in the U.S., physicians do have to indicate the reason the drug was prescribed, so you cannot differentiate between off label and on label use. Overall, including on and off label prescriptions, 7.6 percent of the patients had an adverse drug effect. The researchers also found that approximately 80 percent of off label prescriptions were not supported by strong scientific evidence. In these instances, adverse drug effects rose to 54 percent. Why are you prescribing this specific medication? What scientific evidence is there that shows it may be a safe and effective option for treating my condition? Is this off label medication more likely to be effective than the approved drug and why? What are the risks and benefits of treatment with this medication? A personal health advisor can also provide you with information about the drug and any objective scientific evidence available about its effectiveness when used to treat your condition.